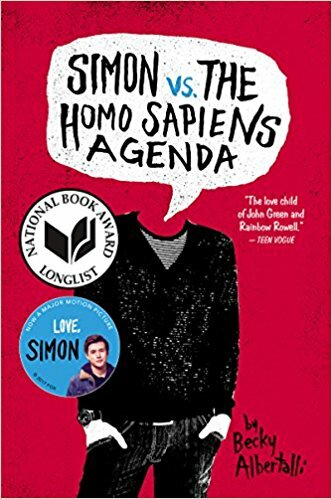 Simon vs. the Homo Sapiens Agenda is a unique story written by Becky Albertalli that features a 16-year-old boy, Simon, who is put in a unique position that forces him to come out to his friends and family. Simon forms a secret relationship with another gay boy at his school. They communicate exclusively over email and use fake names, so neither boy knows the others identity. One day, Martin, a kind of dorky kid in Simon’s grade, sees Simon’s emails, and he decides to blackmail Simon into helping him secure a date with one of Simon’s friends, Abby. If Simon doesn’t help him, Martin will out Simon to the whole school on the school Tumblr page. Although the book is primarily about a gay teen struggling with coming out, it’s also about friendship, navigating being a teenager, relationships, and family. The best thing about this book is that it is so normal. Simon and his friends are kind of dorky but not too weird. They have their own interests and participate in different activities at school, but they all come together to form a tight-knit group of people. Albertalli doesn’t glorify partying or act like Simon is any cooler than he actually is (he loves Harry Potter and prefers spending time with his dog than anyone else). 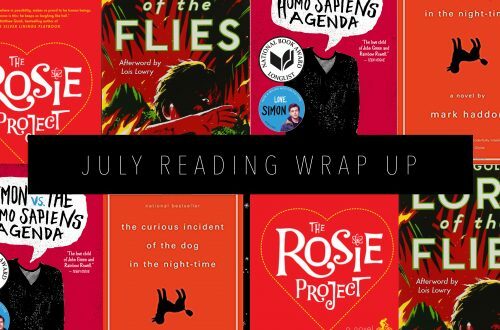 The book doesn’t feel like it’s exclusively about Simon being gay, but more so about Simon’s relationships and how he’s navigating them as a teenager — being gay is just an added characteristic to Simon’s character. One of the biggest messages of Simon vs. the Homo Sapiens is in challenging what is considered the norm. Simon has an internal conversation with himself about why only gay people have to announce their sexuality — “Why is straight the norm?” More and more people are questioning this today (check out this video about Kristina Kuzmic’s son coming out to her as straight), and it’s an important message to spread. Later on in the book, Simon also chastises himself for assuming Blue, his secret boyfriend, was white because white also shouldn’t be the norm. 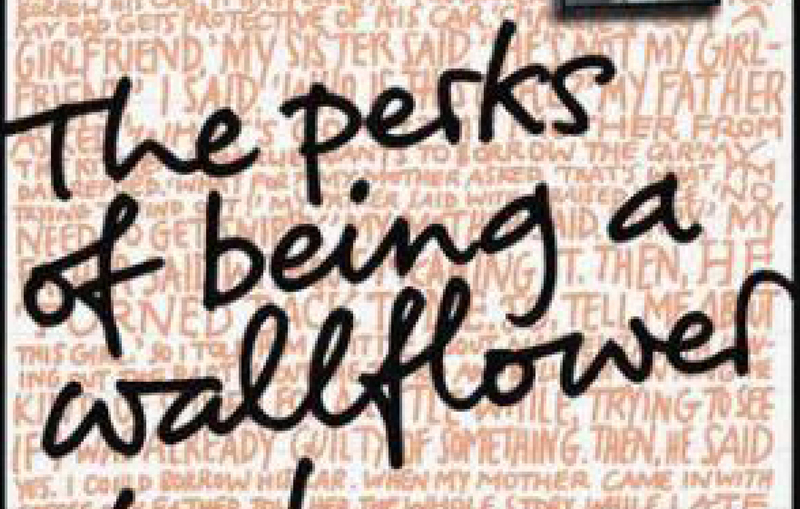 Albertalli questions our underlying prejudices as a society without harping on the point too much. It feels natural for Simon to think about these ideas and question his own instinctual thoughts. 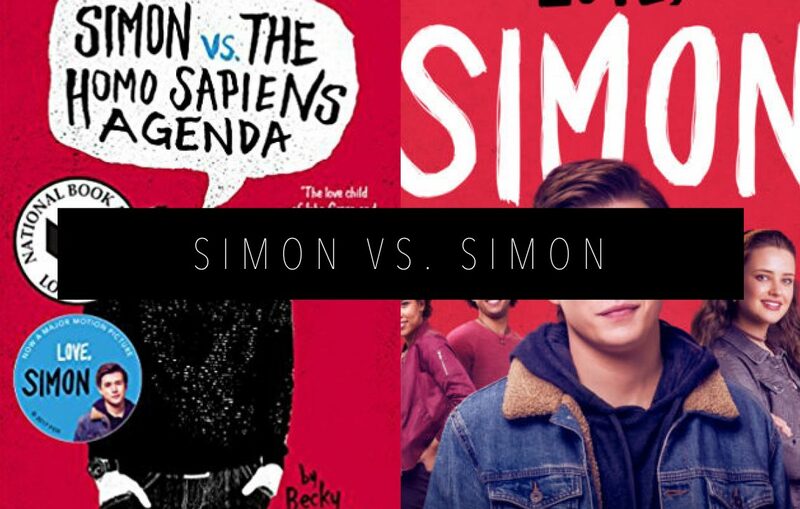 Before reading Simon vs. the Homo Sapiens Agenda, I actually saw the movie, Love, Simon (I know, a big no-no for a true bookworm).Admittedly, I love both the book and the movie for completely different reasons. I love the book because it gives a voice to the young adult,LGBTQ community without dramatizing or exploiting the characters. I love the movie because it was dramatic, gripping. and emotional. It made me, and so many other people in the theaters, route for love and friendship in a way we don’t frequently see portrayed in popular culture. Love, Simon is a movie about a friendly kid who doesn’t have a ton of friends, but is still seen as the popular kid. He’s involved in theater, he gets along with his family, and he has three best friends who he would go to the ends of the Earth for. The only thing that makes him really different is that he’s gay. Simon’s story in the movie follows the book pretty closely, but the movie did take some liberties to push the story along. 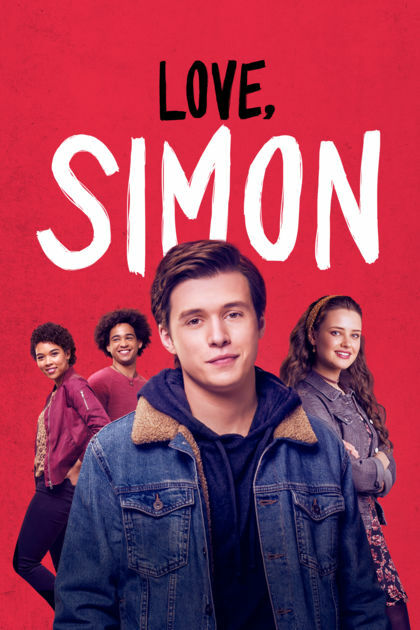 The central focus of the movie is that Simon is gay whereas the main themes of the book are relationships of all sorts. Whether you read the book or see the movie, you’re still going to see a unique love story unfold. You’re going to question your own assumptions about the people around you and possibly question the social privileges you never realized you had (like being straight and not having to come out to your family). 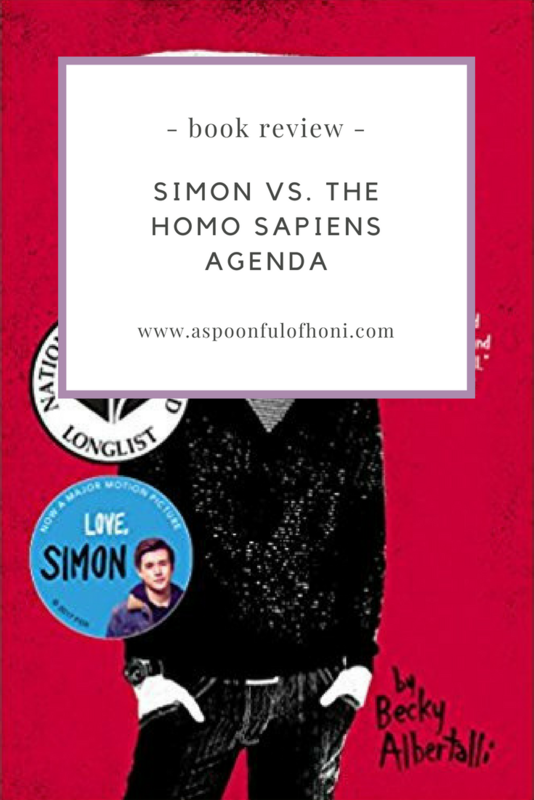 Simon vs. the Homo Sapiens Agenda sheds a light on an often overlooked community and puts relationships between friends, parents, and romantic partners in a unique, enlightening perspective for readers of all ages. bookmark your blog and may come back very soon. I want to encourage one to continue your great work, have a nice day! Hello, every time i used to check web site posts here in the early hours in the dawn, because i like to learn more and more. then i suggest him/her to pay a visit this web site, Keep up the nice job. 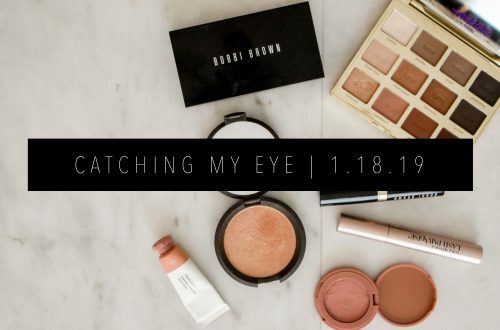 I was recommended this blog by my cousin. I’m not sure whether or not this put up is written through him as nobody else understand such detailed approximately my problem. You’re amazing! Thanks!